The 67th Academy Awards ceremony, organized by the Academy of Motion Picture Arts and Sciences (AMPAS) took place on March 27, 1995, at the Shrine Auditorium in Los Angeles beginning at 6:00 p.m. PST / 9:00 p.m. EST. During the ceremony, AMPAS presented Academy Awards (commonly referred to as the Oscars) in 23 categories honoring the films released in 1994. The ceremony, televised in the United States by ABC, was produced by Gilbert Cates and directed by Jeff Margolis. Comedian David Letterman hosted the show for the first time. Three weeks earlier in a ceremony held at the Regent Beverly Wilshire Hotel in Beverly Hills, California on March 4, the Academy Awards for Technical Achievement were presented by host Jamie Lee Curtis. Forrest Gump won six awards, including Best Picture. Other winners included Ed Wood, The Lion King, and Speed with two awards, and The Adventures of Priscilla, Queen of the Desert, Blue Sky, Bob's Birthday, Bullets over Broadway, Burnt by the Sun, Franz Kafka's It's a Wonderful Life, Legends of the Fall, The Madness of King George, Maya Lin: A Strong Clear Vision, Pulp Fiction, A Time for Justice and Trevor with one. The telecast garnered more than 48 million viewers in the United States, making it the most watched Oscars telecast since the 55th Academy Awards in 1983. The nominees for the 67th Academy Awards were announced on February 14, 1995, at the Samuel Goldwyn Theater in Beverly Hills, California, by Arthur Hiller, the president of the Academy, and actress Angela Bassett. Forrest Gump earned the most nominations with thirteen. It was the most nominated film since 1966's Who's Afraid of Virginia Woolf? and the fifth film to earn that many nominations. Bullets over Broadway, The Shawshank Redemption, Pulp Fiction tied for second with seven each. The winners were announced during the awards ceremony on March 27, 1995. For only the second time in Oscar history, three of the four acting winners were previous winners. The 11th ceremony held in 1939 previously accomplished this feat. Best Actor winner Tom Hanks became the fifth performer to win consecutive acting Oscars and the second person to do so in the aforementioned category since Spencer Tracy won for his performances in Captains Courageous and Boys Town. He also was the sixth person to win Best Actor twice. 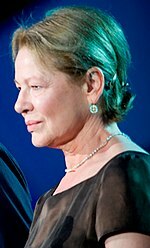 Best Supporting Actress winner Dianne Wiest became the first person to win two acting Oscars for performances in films directed by the same person. She first won in that same category for her role in Woody Allen's 1986 film Hannah and Her Sisters. Franz Kafka's It's a Wonderful Life and Trevor's joint win in the Best Live Action Short category marked the fifth occurrence of a tie in Oscar history. The following individuals, in order of appearance, presented awards or performed musical numbers. Rene Russo Introducer of the performance of Best Original Song nominee "Make Up Your Mind"
Matt Dillon Introducer of the performance of Best Original Song nominee "Look What Love Has Done"
Angela Bassett Introducer of the performance of the Best Original Song nominees "Circle of Life" and "Hakuna Matata"
Julia Ormond Introducer of the performance of Best Original Song nominee "Can You Feel the Love Tonight"
Despite earning critical praise for last year's ceremony, actress and comedian Whoopi Goldberg announced that she would not host the ceremony for a second consecutive year saying, "I've had a great time, but I've done it." She added that her role in the upcoming movie Bogus would jeopardize her busy schedule. In addition, her Comic Relief co-host and veteran Oscar emcee Billy Crystal also declined to host the show citing his commitment to his film Forget Paris which he directed, written, starred, and produced. Producer Gil Cates hired actor, comedian, and Late Show host David Letterman as host of the 1995 ceremony. Cates explained his decision to hire the late night talk show host saying, "He's punctual, he's well groomed, and he knows how to keep an audience awake." ABC entertainment president Ted Harbert also approved of the choice stating, "If Dave likes the experience, this could be a great answer for the show, just the way Johnny Carson did the show for many years." 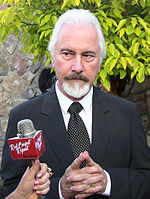 As with previous ceremonies he produced, Cates centered the show around a theme. This year, he christened the show with the theme "Comedy and the Movies" commenting "This year, because of the earthquakes and floods and Bosnia and Rwanda, it was a (terrible) year, and therefore seemed a great year to celebrate what movies can really give us, which is an opportunity to go for two hours in the dark and laugh together. Even with television, it's not a community experience unless you have a very big family. So it's unique to movies and theater, and it's this very human thing." In tandem with the theme, the ceremony's opening number featured a montage produced by Chuck Workman featuring scenes of humorous moments from a variety of both comedic and non-comedic films. During that segment, actors Tim Curry, Kathy Najimy, and Mara Wilson performing a modified version of the song "Make 'Em Laugh" from the film Singin' in the Rain. Several collections of film clips were shown throughout the broadcast highlighting various aspects of comedy such as troupes and dialogue. Several other people were also involved with the production of the ceremony. Bill Conti served as musical director and conductor for the event. Production designer Roy Christopher designed a new stage for the ceremony which prominently featured a proscenium which was designed to resemble the iris of a camera. Moreover, Christopher commented that the iris motif was inspired by the iris shot prominently featured in several comedic films and shorts. Dancer Debbie Allen choreographed The Lion King musical number. Actors Alec Baldwin, Jack Lemmon, Steve Martin, and Rosie O'Donnell participated in a pre-taped comedic sketch lampooning auditions for a role in Cabin Boy, the film in which Letterman made his film acting debut. At the time of the nominations announcement on February 14, the combined gross of the five Best Picture nominees at the US box office was $468 million, with an average of $93.6 million per film. Forrest Gump was the highest earner among the Best Picture nominees with $300 million in domestic box office receipts. The film was followed by Pulp Fiction ($76 million), Four Weddings and a Funeral ($52 million), The Shawshank Redemption ($16 million) and Quiz Show ($21 million). Of the top 50 grossing movies of the year, 44 nominations went to 14 films on the list. 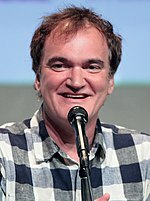 Only Forrest Gump (2nd), The Client (12th), Pulp Fiction (14th), Four Weddings and a Funeral (20th), and Nell (41st) were nominated for directing, acting, screenwriting, or Best Picture. The other top 50 box office hits that earned nominations were The Lion King (1st), True Lies (3rd), Clear and Present Danger (6th), Speed (7th), The Mask (8th), Interview with the Vampire (10th), Maverick (11th), Legends of the Fall (27th) and Little Women (31st). The show received a negative reception from most media publications. John J. O'Connor of The New York Times wrote, "Instead of keeping things moving smartly, Mr. Letterman stuck with his late-night shtick, too often leaving the show's pacing in shambles." He also added, "Within the show's first half-hour, with no strong hand at the helm, the audience simply sagged. Applause died long before most winners even reached the podium." Television critic John Carman of the San Francisco Chronicle commented, "Last night on ABC, no one got it. Hollywood's big event was wonderfully littered by technical errors, bad taste, low comedy and lower necklines." Moreover, he remarked, "Letterman, the rookie host, was off his game in his opening monologue. Maybe it was the big auditorium. Or a billion people in the television audience." Film critic Andrew Sarris of The New York Observer quipped, "Not only was he not witty or funny, he never knew when to let bad enough alone." He concluded, "As the evening dragged on, it became obvious that Mr. Letterman had no gift for ad-libbing through the few unpredictable opportunities in a 'live' event like the Oscars." People named the ceremony as one of the worst television broadcasts of 1995, remarking that Letterman was "a cranky skeptic [who] visit[ed] the high temple of show business, mock[ed] the gold-plated statuary and display[ed] insufficient reverence for the gods. (Tom Hanks assisting with a stupid pet trick?!) We know who the winner wasn't." Some media outlets received the broadcast more positively. Television critic Joyce Millman of The San Francisco Examiner noted, "In his first stint as host of the Oscar telecast, David Letterman did the impossible—he made something entertaining from what is traditionally the most boring three hours of TV this side of a test pattern." The Buffalo News columnist Alan Pergament praised Letterman's performance as host writing "David Letterman was a box full of chocolates on an Oscar night that was empty of much emotion until the expected Forrest Gump sweep in the final 15 minutes." He also added that despite a lack of surprises amongst the awards, the emotional and unexpected humorous moments provided depth and entertainment throughout the evening. Hal Boedeker of the Orlando Sentinel gave an average review of the ceremony but singled out Letterman noting that he "proved Monday night that he's among Oscar's Top 10 Hosts. He's definitely at the top of the list with Johnny Carson, Billy Crystal and Bob Hope." The American telecast on ABC drew in an average of 48.28 million people over its length, which was a 7% increase from the previous year's ceremony. An estimated 81 million total viewers watched all or part of the awards. The show also drew higher Nielsen ratings compared to the previous ceremony with 32.5% of households watching over a 53 share. In addition, it also drew a higher 18–49 demo rating with a 21.7 rating among viewers in that demographic. It was the most watched Oscars telecast since the 55th ceremony held in 1983. In July 1995, the ceremony presentation received six nominations at the 47th Primetime Emmys. 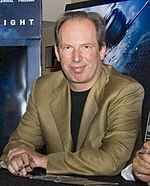 Two months later, the ceremony won one of those nominations for Jeff Margolis's direction of the telecast. ^ Archerd, Army (January 12, 1995). "Letterman to skip bowling, host Oscars". Variety. Penske Media Corporation. Archived from the original on July 14, 2014. Retrieved July 8, 2014. ^ Grimes, William (March 28, 1995). "'Forrest Gump' Triumphs With 6 Academy Awards". The New York Times. Arthur Ochs Sulzberger, Jr. Archived from the original on August 10, 2014. Retrieved July 8, 2014. ^ "Acad Sees The 'Forrest' For The Oscars". Variety. Penske Media Corporation. February 15, 1995. Archived from the original on July 14, 2014. Retrieved July 8, 2014. ^ Boyar, Jay (February 15, 1995). "The Oscar Nominations". Orlando Sentinel. Tribune Company. Archived from the original on July 14, 2014. Retrieved July 8, 2014. ^ Eller, Claudia (March 28, 1995). "It's a Sweet Evening for 'Gump' With 6 Awards : Movies: Film earns best director for Zemeckis and another best actor honor for Hanks. Lange also wins". Los Angeles Times. Tribune Company. Archived from the original on July 14, 2014. Retrieved July 8, 2014. ^ O'Neil, Tom (February 24, 2008). "Day-Lewis is 8th double Oscar lead actor". Los Angeles Times. Tribune Company. Archived from the original on July 15, 2014. Retrieved April 11, 2014. ^ Warner, Denise (February 24, 2013). "Best Sound Editing Oscar tie is sixth in Academy Awards history". Entertainment Weekly. Time Warner. Archived from the original on March 31, 2014. Retrieved July 8, 2014. ^ "The 67th Academy Awards (1995) Nominees and Winners". Academy of Motion Picture Arts and Sciences. AMPAS. Archived from the original on November 9, 2014. Retrieved November 20, 2011. ^ Snow, Shauna (January 21, 1995). "Morning Report". Los Angeles Times. Tribune Company. Archived from the original on July 15, 2014. Retrieved July 2, 2014. ^ "Golden Globes, prelude to Oscars, given tonight Awards..." Orlando Sentinel. Tribune Company. January 19, 1995. Archived from the original on July 14, 2014. Retrieved July 2, 2014. ^ "Eastwood to be honored with Thalberg Award". San Francisco Examiner. San Francisco Newspaper Company LLC. January 19, 1995. ^ Broeske, Pat H. (December 23, 1994). "Leader of the Pack". Entertainment Weekly. Time Warner. Archived from the original on July 14, 2014. Retrieved July 8, 2014. ^ a b Dutka, Elaine (January 7, 1995). "No Crystal Ball at Oscars Again". Los Angeles Times. Tribune Company. Archived from the original on July 14, 2014. Retrieved July 8, 2014. ^ Carter, Bill (January 13, 1995). "Letterman to Be Oscars Show Host". The New York Times. Arthur Ochs Sulzberger, Jr. Archived from the original on July 16, 2014. Retrieved July 8, 2014. ^ Carroll, Jerry (March 26, 1995). "The Dave and Oscar Show: Will Letterman's acid humor take the mush out of the Academy Awards?". San Francisco Chronicle. Hearst Corporation. Archived from the original on July 14, 2014. Retrieved July 9, 2014. ^ a b Willman, Chris (March 27, 1995). "Oscar Show Promises Lots of Funny Business : Awards: Comedy's the theme, from Letterman to Stupid Pet Tricks to film clips loaded with historic laughs. But will it come in under the time limit?". Los Angeles Times. Tribune Company. Archived from the original on July 15, 2014. Retrieved July 9, 2014. 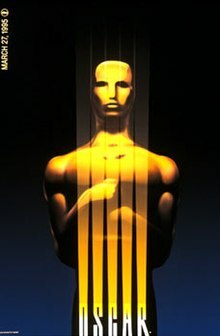 ^ a b "1994 Academy Award Nominations and Winner for Best Picture". Box Office Mojo. Amazon.com. Archived from the original on July 5, 2014. Retrieved July 8, 2014. ^ "1989 Box Office Grosses (as of February 13, 1995)". Box Office Mojo. Amazon.com. Archived from the original on July 14, 2014. Retrieved July 8, 2014. ^ O'Connor, John J, (March 29, 1995). "Critic's Notebook: The Winner Isn't David Letterman". The New York Times. Arthur Ochs Sulzberger, Jr. Archived from the original on March 8, 2013. ^ Carman, John (March 28, 1995). "Telecast Was A Delicious Mess". San Francisco Chronicle. Hearst Corporation. Archived from the original on July 14, 2014. Retrieved July 8, 2014. ^ "Worst of Tube : People.com". archive.org. May 17, 2012. ^ Millman, Joyce (March 28, 1995). "Late Show' star makes it fun". The San Francisco Examiner. San Francisco Newspaper Company LLC. Archived from the original on July 14, 2014. Retrieved July 8, 2014. ^ Pergament, Alan (March 28, 1995). "Best Thing About TV Oscarcast was Letterman's Biting Humour". The Buffalo News. Berkshire Hathaway. ^ Boedeker, Hal (March 28, 1995). "After Slow Start, Letterman Brings Oscars To Life". Orlando Sentinel. Tribune Company. Archived from the original on July 14, 2014. Retrieved July 8, 2014. ^ Gorman, Bill (February 17, 2009). "Academy Awards Show Ratings". TV by the Numbers. Tribune Company. Archived from the original on November 9, 2013. Retrieved September 5, 2013. ^ a b Johnson, Greg (March 18, 1999). "Call It the Glamour Bowl". Los Angeles Times. Tribune Company. Archived from the original on September 28, 2013. Retrieved August 26, 2013. ^ Rickey, Carey (March 29, 1995). "A Miscast Oscar Emcee? No Best-host Prize For Letterman". The Philadelphia Inquirer. Philadelphia Media Network. Archived from the original on July 14, 2014. Retrieved July 8, 2014. ^ Braxton, Greg (March 29, 1995). "One Day Later, Bouquets and Bricks for Dave : Letterman draws praise and criticism for his Oscar role, which helped show to its best rating in 12 years. But will the 'Late Show' star return next year?". Los Angeles Times. Tribune Company. Archived from the original on July 15, 2014. Retrieved July 8, 2014. ^ "Primetime Emmy Award database". Academy of Television Arts and Sciences. ATAS. Archived from the original on July 14, 2014. Retrieved July 8, 2014. ^ "Who Won What: The Winners on TV's Annual Weekend of Awards". Los Angeles Times. Tribune Company. September 11, 1995. Archived from the original on December 12, 2013. Retrieved July 8, 2014. ^ "1995 Emmy Award Winners". The New York Times. Arthur Ochs Sulzberger, Jr. September 12, 1995. Archived from the original on February 3, 2015. Retrieved December 29, 2014.